There is so much to this look that I love. 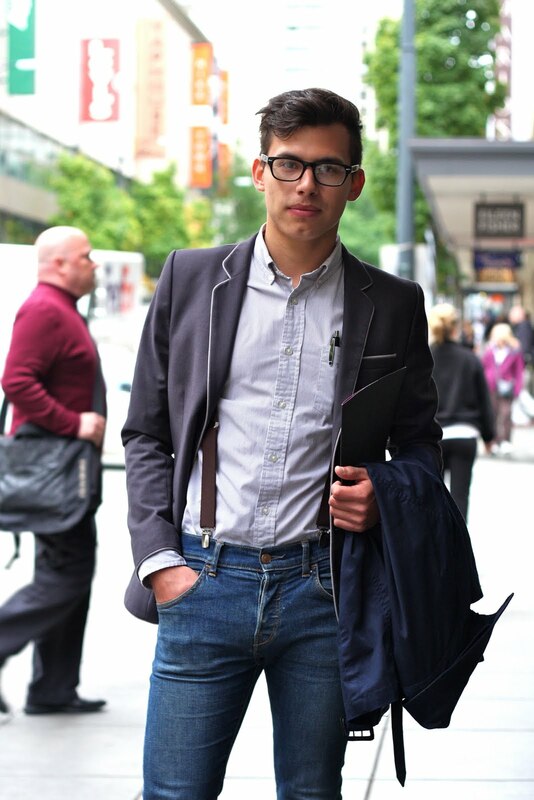 The mix of a worn out pair of jeans with a perfectly tailored shirt and blazer. All the little details... suspenders, classic glasses and the trim of the jacket. And of course, a great haircut; the best accessory of all for you boys. Featured on this weeks street style slide show over at New York Mag. Photos of the boys are a major rarity on that feature so, nice work Jonny! You have a wonderful sense of style.